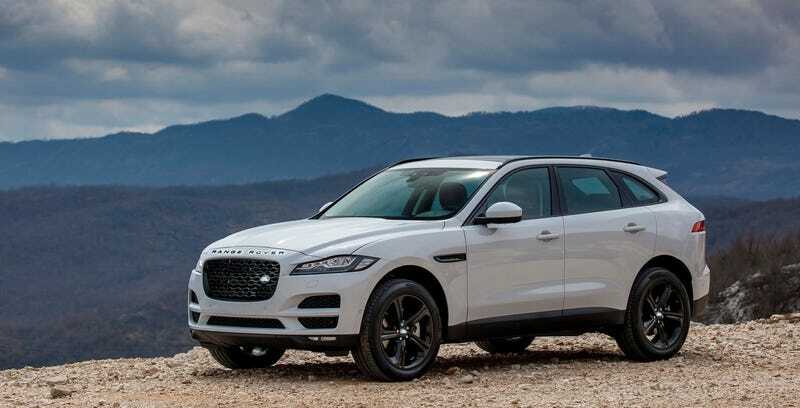 Jaguar and Land Rover have been one company for years, but the division of design has always been pretty simple: Jaguar does luxury cars, Land Rover does luxury SUVs. The line started to blur with the intro of the F-Pace, and it looks like that trend is going to continue. Car says that Jaguar Land Rover is planning on introducing something they call a “Range Rover Sport Coupe” based on the Jaguar F-Pace called that will allegedly be for sale in 2017 under the name Range Rover Velar. They also claim gasoline and diesel variants are in the pipeline. Hell, those crazy Brits are already talking about a high-horsepower SVR version of this Range Rover Coupe. Car and other outlets are largely basing their assumptions on spy shots of what does indeed look like a sleek four-door Range Rover. The Velar, if that’s what it really ends up being called, would supposedly slot between the Evoque and Range Rover Sport on the pricing scale. “Velar” was the name given to the original two-door Range Rover, which we never got in the United States but I’ve always fantasized about gutting and turning into a desert racer. If this new Range Rover coupe comes to life, it will be interesting to see how much off-road pretense is retained. So far Land Rover has been big on defending that; even the Range Rover Evoque Convertible has been photographed splashing through puddles. Maybe Chris Harris wasn’t far off when he predicted the Range Rover sedan after all.